Jaipur reported that award winning designer Jennifer Adams has entered into a licensing partnership with jaipur. Jaipur is showcasing the line in their Las Vegas showroom in building B, suite 424. 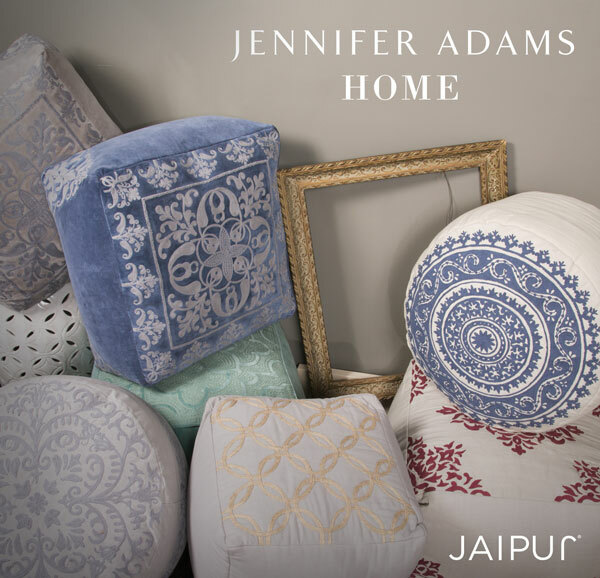 A Jaipur representative states the lines of rugs, poufs and pillows is tasteful and elegant with soft blues, grey tones and a neutral pallet that is a perfect addition to the Jaipur line up.